After its behind-closed-doors gameplay demo at E3 2018, Cyberpunk 2077 is generating a ton of buzz. To give a better idea of how realistic what was shown in the demo was, developer CD Projekt Red has released the specs of the PC the demo build was running on via their official Discord. With The Witcher 3, CD Projekt Red have serious form for creating sprawling worlds that feel dense with activity – and Cyberpunk seems to be no exception. In a short panel at E3, some of the Cyberpunk team described the world as being made up of “six unique districts” with a lot of vertical exploration that you can explore both on foot and by car. That ambition needs to be backed by technology though, and it looks like you’ll need some serious grunt under the hood to get the full Cyberpunk experience. 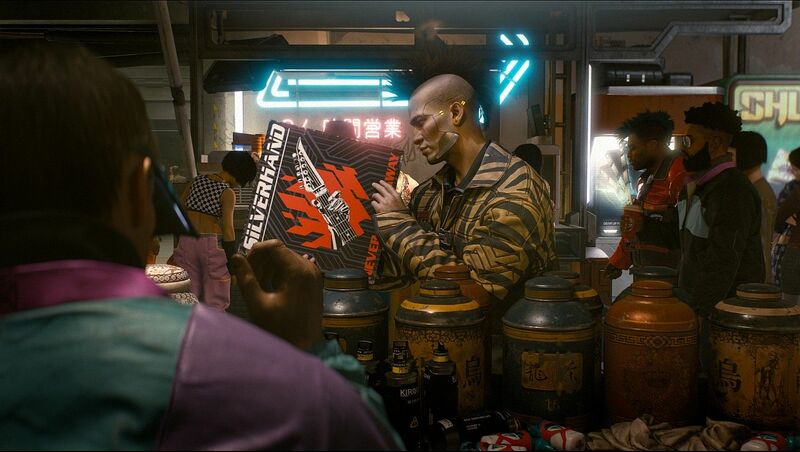 Cyberpunk 2077 will be a first-person only game with no option for a third-person mode – the only times you’ll be able to see your character will be when you’re driving, during cutscenes and in the game’s inventory menu. For more on what we saw of the Cyberpunk 2077 gameplay demo, checkout our feature. If you can’t wait until it finally releases, you can always tide yourself over with a $500 Cyberpunk statue off eBay that was given out for free.